Nothing is as sweet and tempting as a lollipop! 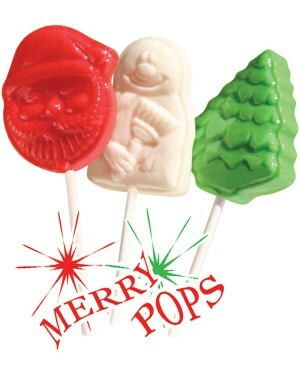 Our candy and chocolate pops make great fundraisers, they are truly irresistible to anyone who lays eyes on them. What better way to raise funds easily and quickly than with a sweet lollipop fundraiser. Choose your favorite lollipop fundraiser below. 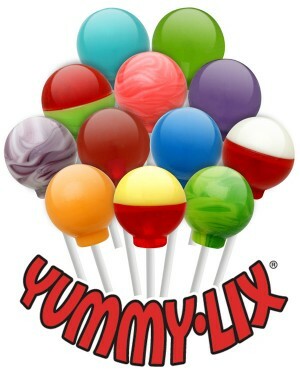 Yummy Lix Gourmet Lollipops are fun and excellent year round sellers. You can raise thousands by simply selling them to friends and co-workers, and fans in the stands at every game. 640 pops per case, 20 flavors. 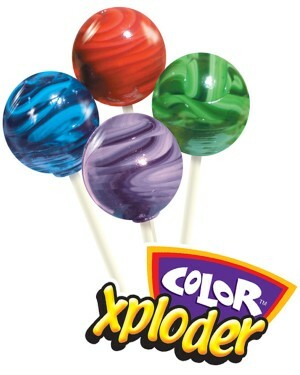 Color Xploder Gourmet Lollipops are fun and excellent year round sellers. You can raise thousands by simply selling them to friends and co-workers, and fans in the stands at every game. 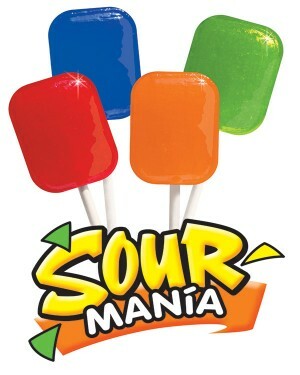 Sour Mania Pops are The SOUREST lollipops in the UNIVERSE. You can raise thousands with these 11 explosive flavors! 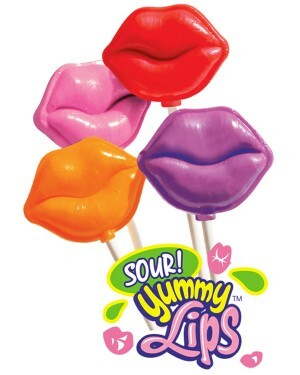 Sour Yummy Lips are fun and excellent year round sellers. You can raise thousands by simply selling them to friends and co-workers, and fans in the stands at every game. 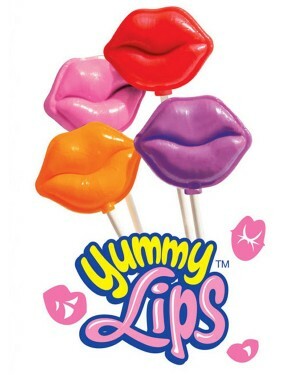 Sweet Yummy Lips are fun and excellent year round sellers. You can raise thousands by simply selling them to friends and co-workers, and fans in the stands at every game. 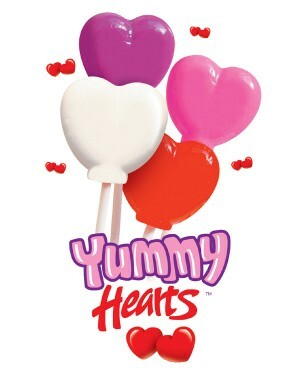 Yummy Hearts are fun and excellent year round sellers. You can raise thousands by simply selling them to friends and co-workers, and fans in the stands at every game. 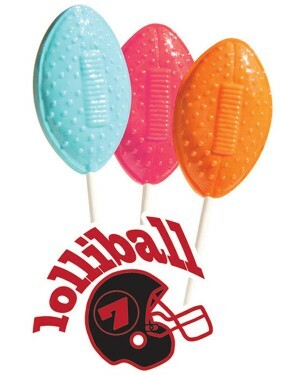 1 oz football shaped lollipops, great item for candy fundraising, for football team and other sport teams. An assorted collection of Orange, Lemon Lime, Sour Apple, Sour Mandarin, Sour Cherry, and Strawberry. These yuletide delights are available in these three great shapes; Santa, Snowman, and Christmas tree. Each pop sells for $.50. JustFundraising Sweetens Your Lollipop Fundraising Campaign! 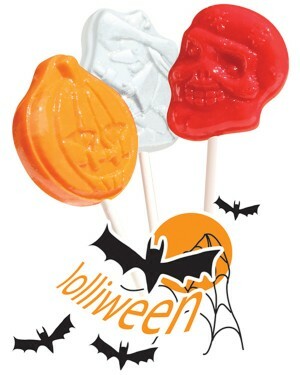 Besides our incredible selection of gourmet lollipops, JustFundraising includes carry bags so your sellers can conveniently transport the suckers. You can order as few as 1 case at a time and shipping is free. For most of our lollipop fundraisers you’ll earn 50% profit (with high volume, up to 52% profit) and we guarantee the highest profit! If you’re looking for our best sellers, consider mega-rounds, yummy lix, shockwave sour pops and our color x-ploder lollipops. If you have a small group and or a small budget, order 1 case at a time. For most lollipop fundraisers, your percentage profit varies very little based on order volume, and shipping is free. Customize to your cause or event: we’ve got sport-shaped pops, awareness ribbons chocolate pops, Easter lollipops, Christmas and festive themed suckers, rose and heart shaped lollipops and the list goes on. You can be fun and different with all of our options. Make sure each of your sellers know how many suckers you expect them to sell and by what date. Tip 5: Location is key in order to maximize the sales and profit of your lollipop fundraiser. Determine areas that have high levels of foot traffic and make sure you ask for approval when required. It could mean setting up a booth during school lunch time, selling in the stands at the local athletic events and selling in front of your local Walmart. Important: Any door-to-door fundraising should be accompanied by an adult. Team Sells Small Pops to Raise Big Bucks! As the beginning of September rolled around, the Millennium Softball team out of Mohnton, PA realized that they needed funds… and they needed them fast! The players wanted to buy brand new uniforms and be able to cover upcoming travel expenses. A total of $1,500 was needed…could this be raised this by selling lollipops?! Believe it or not, they raised $1,872 net profit with only 12 players, and the money is still rolling in. Coach Mark Jenkins said, "This is the third time I'm ordering; they're super easy sellers and people keep coming back for more! To get your lollipop fundraiser started, check out the lollipop fundraising products above, and please feel free to call us at 1-888-440-4114 to help guide you.